Spirals is a poetic journey that crosses geographical borders and unites European female voices in an exchange of languages, cultures, personal narratives and modes of expression. Through the symbol of the spiral, the project explores thresholds, migration, path, nature, home and sense of belonging; the spiral acts as a sign of becoming, transforming and awareness. Poems written by contemporary female poets, recorded material, music and movement are part of a series of performances, photography and video-work. Women create and walk on spirals in a variety of places, such as London, Broadstairs, Coventry, Barcelona, Athens and Belgrade. Agnes Marton is a Hungarian-born poet, writer, librettist from the Poetry Society, The Federation of Writers Scotland, Association of Writers and Writing Programs (USA) Reviews Editor of The Ofi Press (Mexico), Fellow of the Royal Society of Arts (UK), guest editor of the prestigious literary magazine Pratik. Recent publications include her collection ‘Captain Fly’s Bucket List’ and four chapbooks with Moria Books (USA). She won the National Poetry Day Competition in the UK. Her short story ‘Marina di San Cresci’ was called exceptional in the Disquiet Literary Contest (USA). She was awarded numerous prizes and residencies. Vasiliki Legaki is a Greek composer within setting ranging from a symphony orchestra and chamber music to solo and staging music. Her works have been performed in Europe and USA by diverse musicians, ensembles, and orchestras, including the guitarist Xuefei Yang, Trio Accanto, BBC Singers, Fidelio Trio, Angel Orchestra, and Orion Orchestra. Her music has been gained recognition in several competitions and festivals, such as 32nd International Composition Competition of Alea III (Boston, USA), Sorodha International Composition Competition (Antwerp), Park Lane Group Young Artists Spring Series (London), Impuls Academy (Graz, Austria), Darmstadt Summer Festival (Germany). Vasiliki has studied musicology (BMus) and music composition (MMus) at Royal Holloway University of London with Helen Grime and Mark Bowden. Κενότητα. Futura. Θράκα. Τυφλόμυγα. ΕΝΕΚΕΝ. 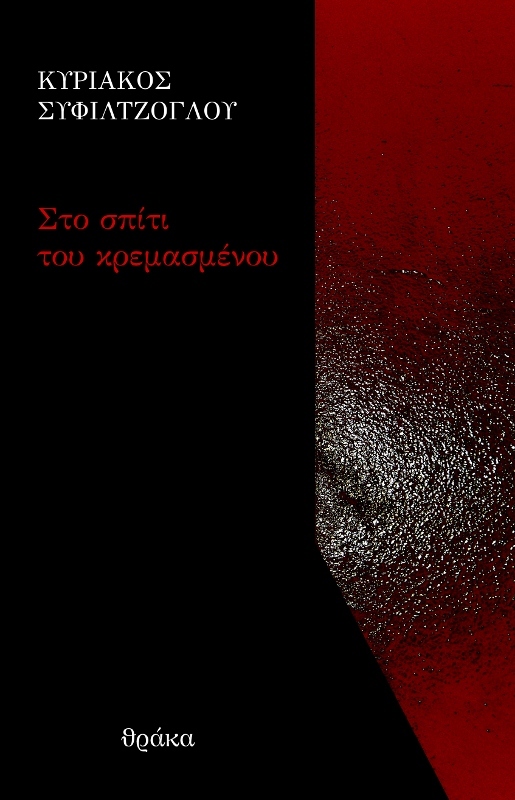 Σαιξπηρικόν. ΑΓΧΙΒΑΣΙΗΝ. Κίχλη. Bibliotheque. Περιοδικό Σκαντζόχοιρος. Κουρσάλ. 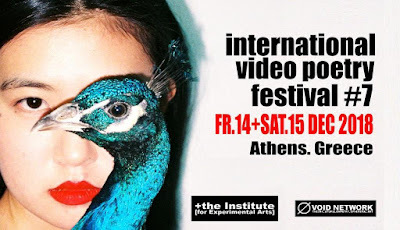 The 7th International Video Poetry Festival is dedicated to the photographer and poet Ren Hang (1987–2017), one of the leading lights of the new generation of Chinese photographers. Ren Hang was arrested many times for his sexually explicit, joyously celebratory photography. Although he was globally renowned, he never gained the recognition he deserved in his home country, in part because he was repeatedly denied the opportunity to display his work in Beijing and throughout China. Read more about Ren Hang.